The latest store to pull out is Circle K, on the intersection’s southwest corner. The owner says the city didn’t do enough to curb theft and loitering. An empty parking lot in the shopping center that formerly housed a Fry’s Food and Drug store. A lone remaining anchor store, a Walmart Neighborhood Market, is across Grant Road. A man threatening motorists with a hunting knife was killed by a Tucson police officer outside the Grant and Alvernon Circle K on May 8, 2018. Walmart Neighborhood Market at Grand Road and Alvernon Way in Tucson. 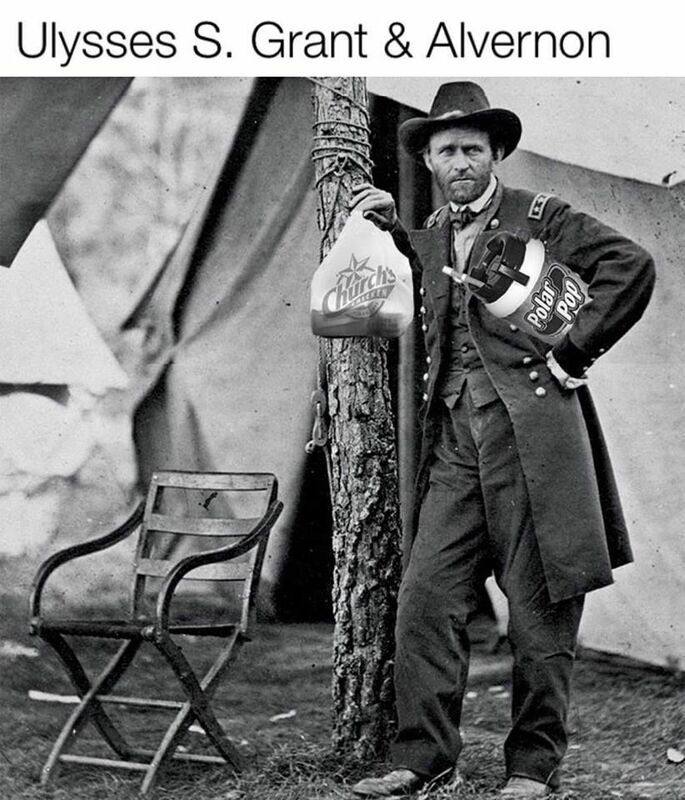 Tucsonan Herm Guzman fashioned a historic photo of a Civil War general into a joke about a notorious Tucson intersection. The Circle K there has closed, but Church’s chicken is still open. As business at Grant and Alvernon has gradually dwindled, a sort of gallows humor has sprung up about the place. If you frequent midtown Tucson, you probably get what they’re talking about. For a couple of reasons, East Grant Road and North Alvernon Way is one of Tucson’s most notorious intersections. The simple one is traffic — the intersection is crowded with vehicles and dangerous, especially at this time of year. The more complicated reason is there are a lot of poor people on foot around that intersection, some of whom are drug addicts or mentally ill people. Over the years, halfway houses have located in the area, which is also home to mental-health facilities and methadone clinics. Refugees have been resettled in the area, too, which has cheaper housing than much of the rest of the city. It’s a crazy quilt of Tucson life, with a lot more people who travel by foot and bus than in most of this car-centered town. Now, though, if the ironic comments about the intersection were ever funny, they are losing their humor as business deteriorates further. The Walgreens on the northwest corner is closed. The Fry’s supermarket on the southeast corner is closed and being turned into a gym. And in the last couple of weeks, the infamous Circle K on the southwest corner closed. The only remaining anchor store around the quadrant is a Walmart Neighborhood Market on the northeast corner. The commercial landscape is bleak. Angelica Ramirez, a manager at the Burger King there, told me that sometimes she has dark visions of how it could turn out. “I imagine someday they’re going to put up a fence around this whole corner from Pima up to Glenn,” she said. You could look at the Circle K closing as an especially bad sign. The owner of that property, Maqsood Ahmad, told me he was unhappy with the city of Tucson for the theft and loitering that helped drive the Circle K out. On Friday electricians were working in the eerily vacant old store, where so much craziness happened over the years, getting it ready for another potential tenant. Katherine Eberts was a witness to the craziness of that convenience store, working there for a year before leaving Tucson in 2016, she told me Friday. Thefts happened on average maybe five times a day, she said, with her worst day having 13 or 14 thefts. The most memorable one, she said, was when a man walked in and, in a friendly tone, engaged Eberts in conversation. He spoke with her about how bad his day had been — a car accident, etc. — as he gathered a 30-pack of beer, two bags of chips, hot dogs, candy bars, a soda. “He was the most respectful person who ever stole from my store,” she said. The retail difficulties of the corner aren’t just due to thieves, though. The Grant Road Improvement Project looms over the area. That stretch of Grant is scheduled to be widened and rebuilt in the years 2022-2026, according to the project’s website. But timelines have shifted now and then. 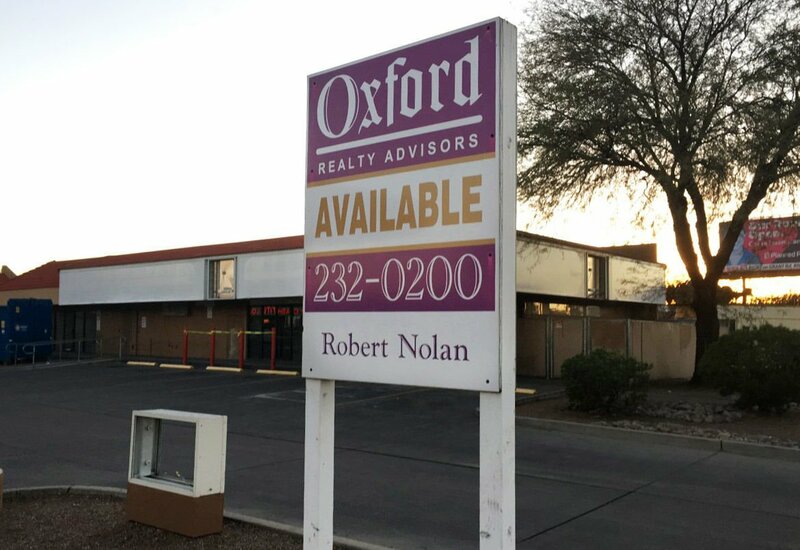 It’s led to a harmful uncertainty, said Nancy McClure, a longtime Tucson commercial-property broker with CBRE. While the closure of the Circle K feels like one more blow to an intersection that already has it hard, some people in the area see it the opposite way — as good news. The convenience store, they say, attracted bad elements. Now the magnet is gone. The residents of surrounding neighborhoods, of course, have been working on this problem for years. Years ago a group called the Meth-Free Alliance, intended to reduce drug dealing in the area, morphed into another group called the Alvernon-Grant Initiative. It meets at 6 p.m. on the second Tuesday of each month, at Emmanuel Baptist Church, 1825 N. Alvernon Way, and is open to residents of the four neighborhoods surrounding the intersection. Kris Yartner, a member of the initiative from the Garden District neighborhood, was far from depressed about the demise of the Circle K.
Indeed, the merchants at neighboring businesses have noticed a big decline in ne’er-do-wells hanging around. Now the people who come by actually have business on their mind. So maybe the notorious Grant & Alvernon has hit bottom with the loss of its crime-magnet convenience store. But it’s hard to see how the area will pick itself up with so much uncertainty over the road-widening ahead. Maybe we should turn those ironic observations into earnest demands to fix this place up. This is the first in a planned occasional series of columns about the Grant and Alvernon intersection. Send your story ideas to columnist Tim Steller at tsteller@tucson.com or 807-7789.